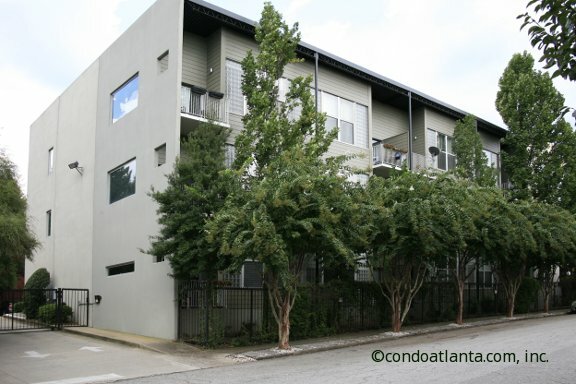 15 Waddell is a contemporary loft community with an Inman Park location close to Downtown Atlanta. Walk to local shopping, eateries and restaurants. Enjoy all the benefits of living near Historic Inman Park, the Krog Street Market, Edgewood, Sweet Auburn, Little Five Points L5P, the Edgewood Retail District, and Historic Kirkwood. Love your location near green spaces and walking trails in the city including the Atlanta Beltline, the Eastside Trail, Freedom Park, and more. The community amenities for 15 Waddell Street Lofts includes gated access for added privacy and homeowner security.